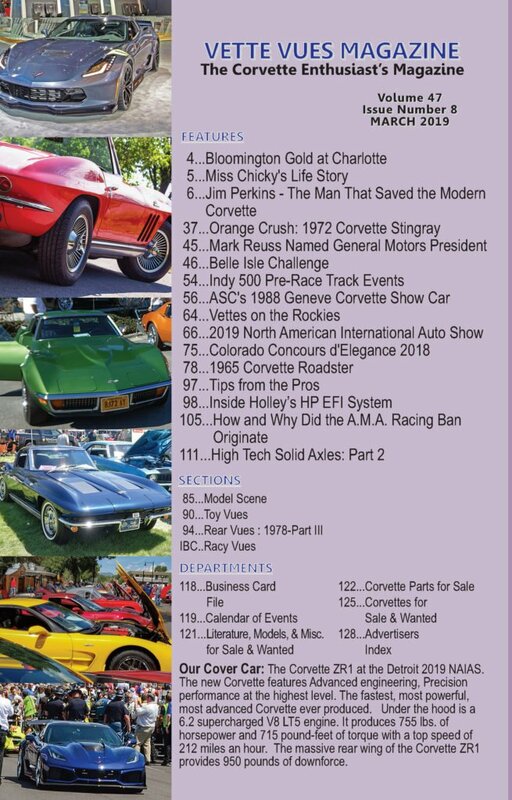 In our March 2019 issue of Vette Vues Magazine, we have coverage of the 2019 North American International Auto Show, 2018 Bloomington Gold Charlotte event, 2018 Belle Isle Challenge, 2018 Indy 500 Pre-Race Track Events, 2018 Vettes on the Rockies, and the Colorado Concours d’Elegance 2018. 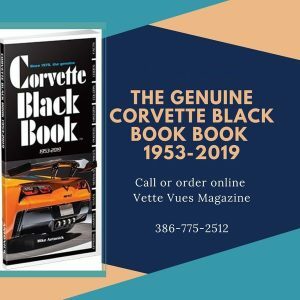 Other features include a look at Jim Perkins – The Man That Saved the Modern Corvette and Mark Reuss who was just named General Motors President. Car features include a Corvette called Miss Chicky, 1972 Corvette Stingray named Orange Crush, and a classic 1967 Corvette Roadster. Some of the tech articles include Inside Holley’s HP EFI System and High-Tech Solid Axles: Part 2. 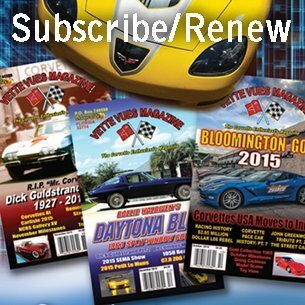 Corvette history on How and Why Did the A.M.A. 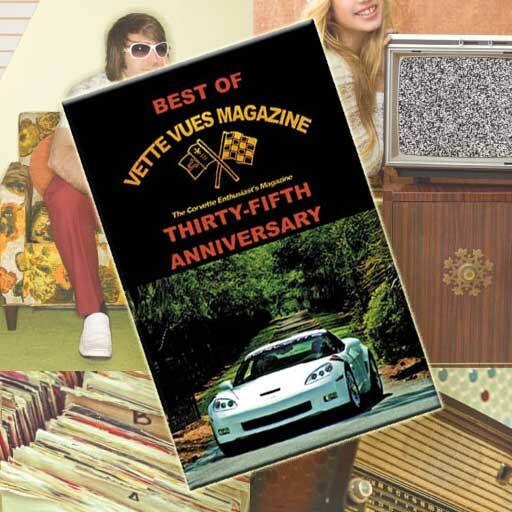 Racing Ban Originate, ASC’s 1988 Genève Corvette Show Car and we look at the 1978 Corvette Vintage Ads. For the collector we look at the Model Scene column and Toy Vues. As always, our Corvette classified ads is full of Corvette Parts for Sale, Corvettes for Sale, Literature, Models, and Miscellaneous for sale. 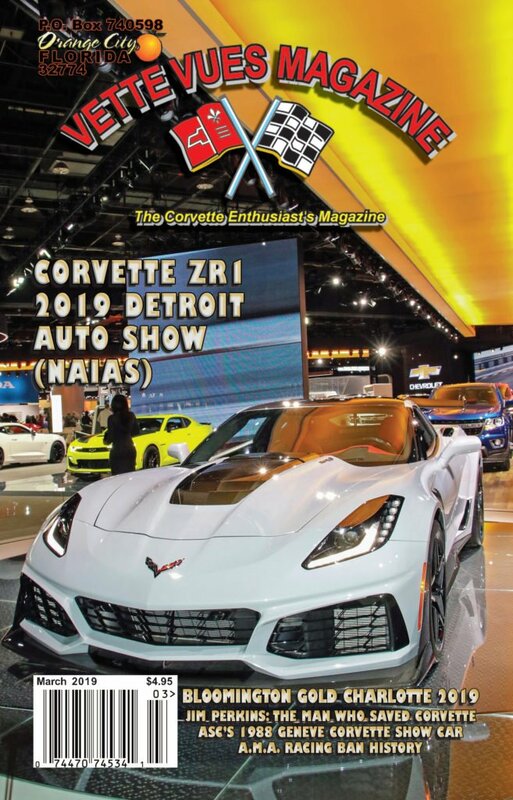 Our cover car is from the Detroit 2019 NAIAS, the Corvette ZR1. Our Cover Car: The Corvette ZR1 at the Detroit 2019 NAIAS. The new Corvette features Advanced engineering, Precision performance at the highest level. The fastest, most powerful, most advanced Corvette ever produced. Under the hood is a 6.2 supercharged V8 LT5 engine. It produces 755 lbs. of horsepower and 715 pound-feet of torque with a top speed of 212 miles an hour. The massive rear wing of the Corvette ZR1 provides 950 pounds of downforce. 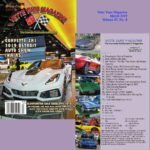 Tags: 2019 North American International Auto Show, Bloomington Gold at Charlotte 2018, Corvette ZR1, March 2019 Vette Vues Magazine, Vette Vues Magazine Volume 47 Issue 8	.